How could Marco Polo miss this!? He was born into a family of Venetian merchants; his father Niccolò and his uncle Maffeo had traded extensively in the Near East, but at some point seem to have figured out that they could increase their profits by heading on past Constantinople. In 1271, when Marco Polo was a teenager, the three of them began a trip that ultimately lasted 24 years and covered 25,000 miles. On an earlier trip, Marco’s dad had gotten acquainted with Kublai Khan, grandson of the notorious Genghis Khan and ruler of the Mongol Empire. At the time, it was the largest empire in the world, extending from what we now know as Bulgaria and Poland, all the way to Korea. Over the years, the Polos covered a great deal of this territory, stopping from time to time for bouts of malaria and other inconveniences of travel. Eventually they did manage to get an assignment that took them west again, but by a very circuitous route. They sailed as far south as Sumatra, where Marco noticed that the North Star looked like it dipped below the horizon. That made quite an impression on him — and on Christopher Columbus, when he read of Marco’s observation almost 200 years later. The Polos finally returned to Venice in 1295. A few years later, Marco got caught up in a turf war between Venice and Genoa. He got thrown into prison, and in a stroke of luck, his cellmate happened to be a writer of romances named Rustichello. During their incarceration together, Marco Polo dictated stories of his travels; Rustichello wrote them down, and in all likelihood, embellished them with flourishes that weren’t strictly factual. The resulting book, which Marco called Description of the World, became the medieval version of a best-seller. It should be noted that Marco was not the first European to visit Asia, but he had a better publicist than those who preceded him. Unfortunately, no authoritative copy of the book still exists. There are something like 140 surviving manuscripts of the text, which include a lot of “improvements” by later hands. That’s one of the difficulties, mentioned earlier, in knowing what Marco actually did (and when). Another reason that some scholars are skeptical about specifics is what is not in the book. 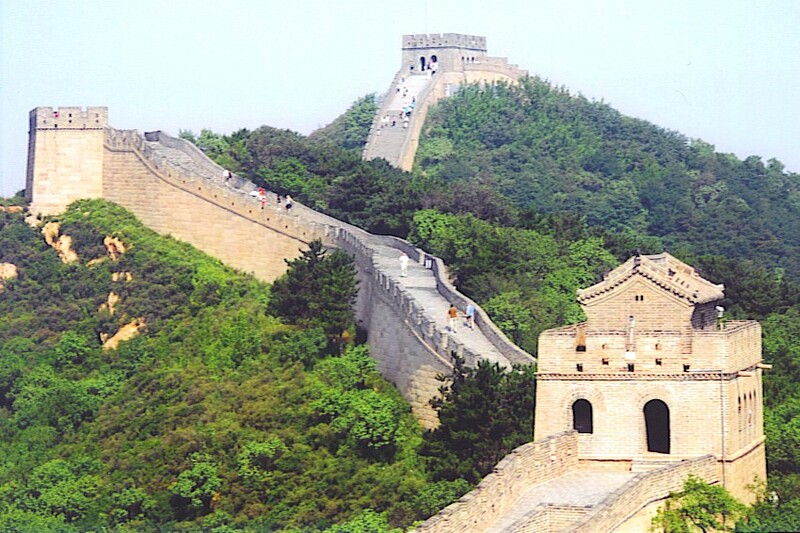 There’s no mention of the Great Wall of China, for instance — or tea! It can be said with certainty, however, that Marco did not invent the game played with mallets and ponies. Or polo shirts, for that matter. This entry was posted in History, Travel and tagged China, Marco Polo. Bookmark the permalink. Something tells me he also didn’t invent the children’s swimming pool game “Marco Polo.” Interesting post!